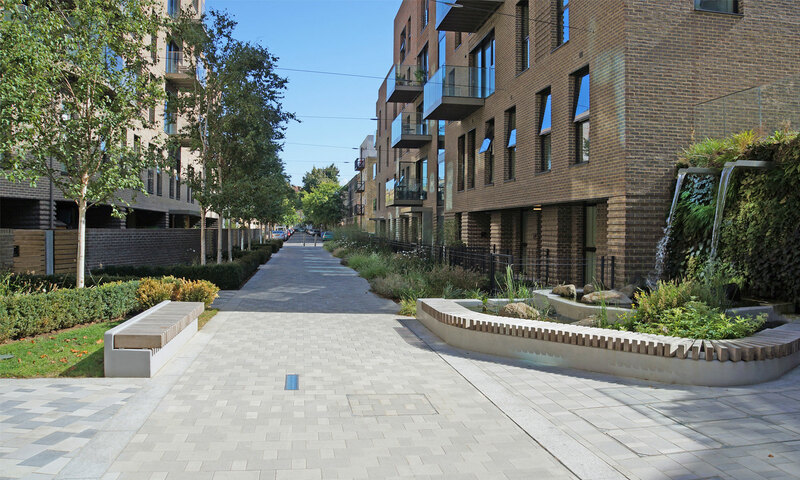 Concrete block paving was introduced into the UK around 40 years ago, while concrete kerbs have been in use for over 70 years and concrete flag paving for even longer. Unlike other paving materials, precast concrete products are engineered and produced under automated factory conditions to give precise dimensional control and consistent performance characteristics, making them durable and problem-free. 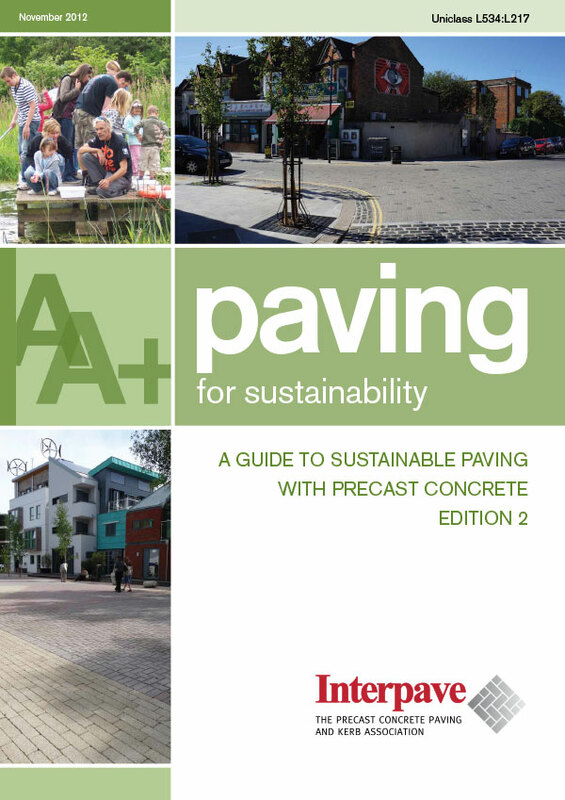 In addition, precast concrete paving from Interpave manufacturers is demonstrably sustainable – in every sense. Concrete Block Paving - Paving blocks are manufactured using a relatively dry mix concrete with vibration and pressure generating high density and strength. Each individual block has considerable loadbearing capabilities while the flexible joints between blocks allow tiny movements. Numerous shapes and pattern combinations are available today. A wide choice of colours and blends can be achieved, in some cases with a ‘top mix’ containing special pigments or decorative aggregates, for the surface. Other finishes can be applied to add texture. 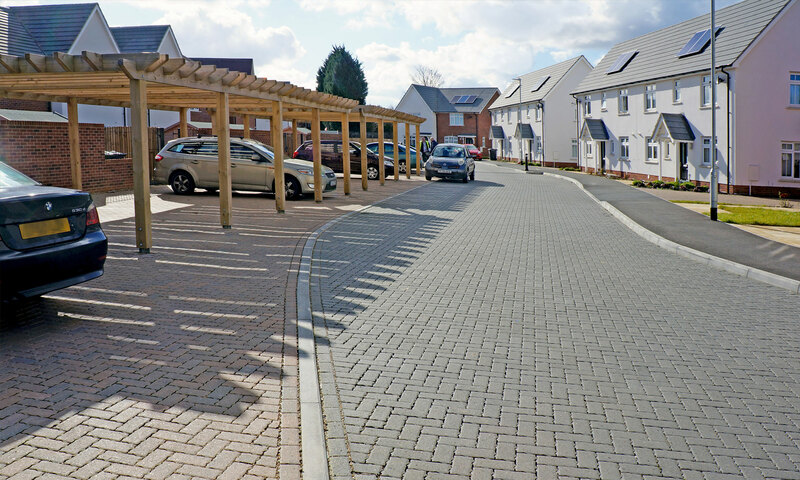 Concrete Block Permeable Paving – click here to find out more about this essential SuDS technique. Concrete Flag Paving - Precast concrete flags are produced in a wide range of square or rectangular sizes, offering extensive opportunities for different laying patterns. Sizes range from 300 x 300 to 900 x 600 mm, offering designers the potential to use elements of a larger scale than block paving. 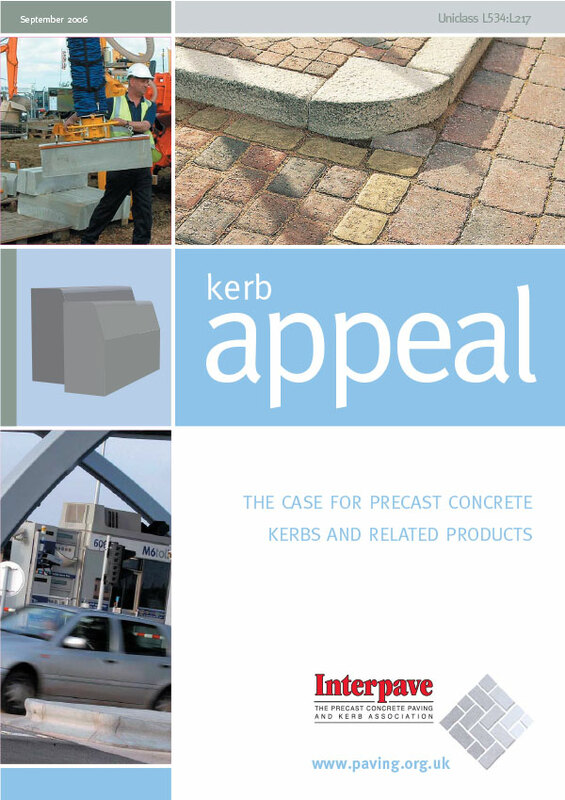 Concrete Kerbs – see the Kerb Appeal brochure below to explore the latest developments with these unsung heroes of our roads and streets. 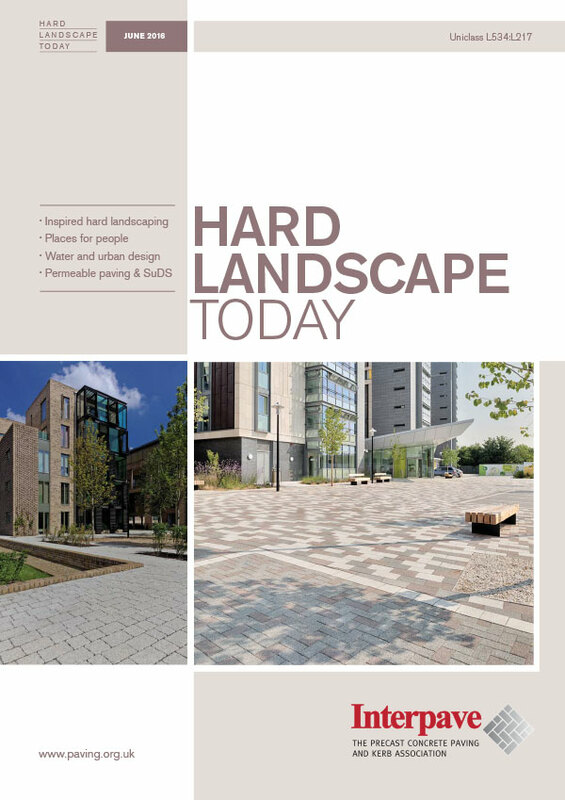 Hard Landscape Today provides an initial introduction, while more detailed, dedicated information can be found below. 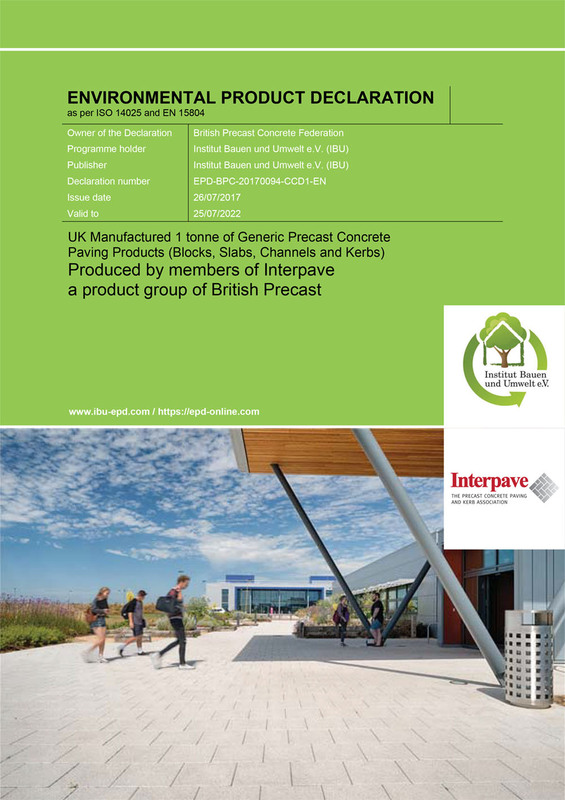 A guide to sustainable paving with precast concrete products from Interpave manufacturer members. 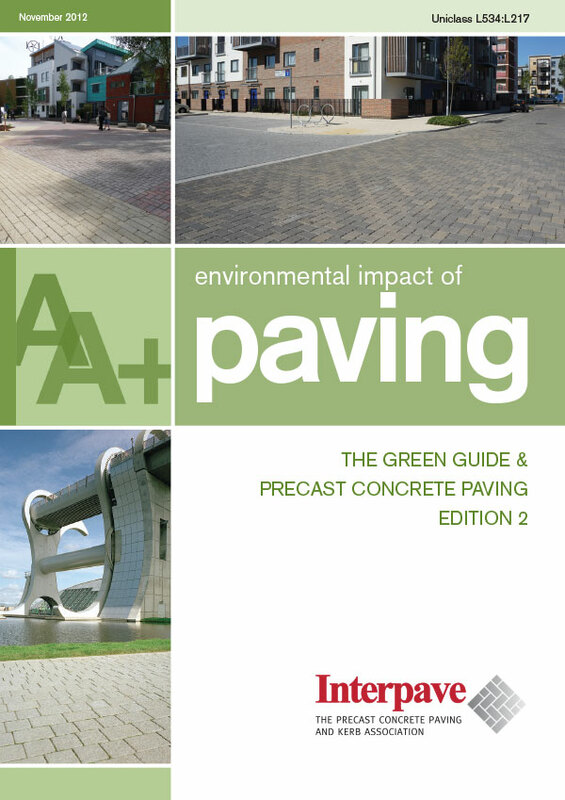 The Green Guide and ratings for precast concrete paving. EPD for precast concrete paving blocks, flags, channels and kerbs from Interpave manufacturer members. 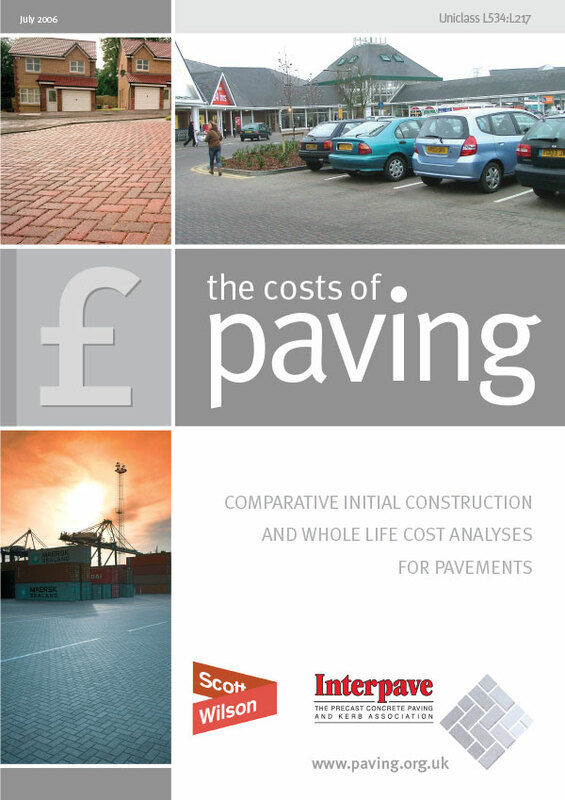 Comparing initial construction and whole life cost analyses for various types of paving.